Mobile Fridge Tent – a mobile refrigeration cold storage solution perfect for events and industries with temperature controlled products where space and access is limited. 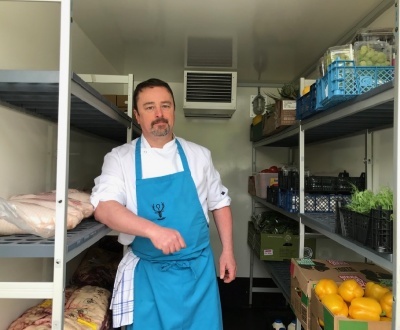 The GCS’s Mobile Fridge Tent aka cold tent is a new product for the commercial refrigeration market developed by a company in Germany called GCS gastronomie-inventar. The freestanding refrigerated /temperature controlled storage space is for internal or external use and is therefore rain, snow and windproof. It will be available to the UK as a 2.7 m x 2.7 m floor plan. Volume of the tent will 15 cubic meters. View the Mobile Fridge Tent website. Due to the small dimensions of the mobile fridge tent and its quick pop-up design, the fridge tent can be erected in existing spaces where a refrigerated trailer, reefer or container would not fit or could not be delivered to. Such examples could be in a warehouse, marquee or exhibition floorspace where space is limited and or where access is limited due to building design, elevators, emergency situations etc. Here at Fridgerate one possible use we can think of could be for emergency refrigeration in small server rooms. It’s compact and stackable design also allows reduced man power and for good space saving when not in use. Total weight of tent including shipping box is 170 kg. Total weight of the mobile refrigeration unit is 137kg. Anything from palleted goods to beer kegs, supplies for supermarkets such as fruit and veg, even medical supplies. 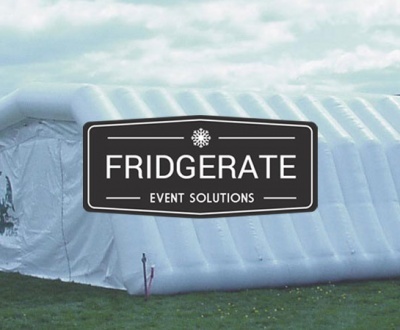 For more information about fridge tent hire or sales please contact us directly at sales@fridgerate.co.uk. If urgent please call 07737774245. Control of food transportation down to last meter to production. Sustainability: is a very important part of our concept. our products are 100% recyclable. All parts can be refurbished and will -after the leasing period- recruited to our rental fleet. Need something a bit cheaper? Have a look at our Fridge Trailer prices, they’re affordable, quick to deliver and easy install. Prices start from £195.00 for a 3 day weekend hire. Click here for fridge trailer prices.